Driver drops you off and picks you up. A day out for children and active parents. Join your children in their pleasure of having fun in the water. Up in the mountains of Hua Hin the wake board park has opened its doors in December 2011. The 880 meter cable water ski track with jumps and obstacles will challenge the beginner and the more experienced wake boarder. Wheelchair users can watch the wake boarders in front of the restaurant. 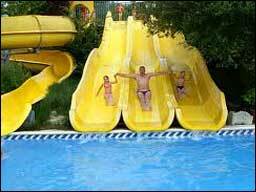 The water park has slides, wave pool, artificial beach, lazy river, infinity pool and more water fun. It is open from 10am till 5pm. Life guards are on duty in the water park all the time. 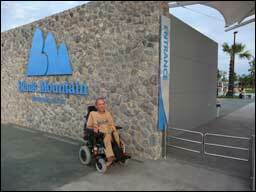 A wheelchair accessible restroom is available inside the water park. The water park is wheelchair friendly and has sunbeds and umbrellas. Open air restaurant inside for food and drinks.